In a perfect world, if a person needed treatment for a substance use disorder, they would receive help immediately. Sadly, the growing demand for beds at such facilities can sometimes be a challenge, in the wake of the opioid epidemic affecting people from all walks of life. A lot of news about this subject deals with the lack of treatment services in rural parts of the country, but urban America is struggling to provide substance use disorder services, too. Baltimore, Maryland, has a long history with opioid addiction, with inner-city heroin use spiking in the 1990’s. While the city has been working for decades to provide effective addiction treatment services, Baltimore Health Commissioner Leana Wen has been battling to provide on demand treatment of late, NPR reports. Making the choice to seek help for addiction is often a split second decision, those who are told they will have to wait for help are at risk of changing their mind, or worse, a potentially fatal overdose. Wen would like help to be available the second an addict makes the choice to seek recovery. In the late ‘90s, George Soros gave the city of Baltimore $25 million for the design of innovative plans for dealing with addiction, such as treatment on demand. It's been almost two-decades now, and there are an estimated 20,000 people using heroin in Baltimore, and 65,000 struggling with some kind of addiction, according to the article. Wen points out that the city is far from the mark when it comes to providing on demand addiction treatment, a goal which may not be possible to achieve. 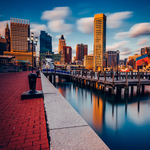 There is a team, lead by Wen, currently designing a database that would help addiction outreach programs determine how many treatment beds are available at any given time in Baltimore, according to the article. She is also concerned that, despite widespread agreement among those who work in the field of addiction, there is still a stigma surrounding medication assisted treatment (MAT).